September; the days are already visibly shortening, but here in Woodstock, GA it is still 93 degrees. Salmon with Orange Maple Mustard Glaze on the grill, while we still can. Oh my lord, when is the summer going to end. I surprised myself by saying this; I love the heat, but this year, the summer is hotter than ever and it seems longer as well. It is the time of the year we should start thinking about stocking up wood for the fire place, prepping for Halloween, thinking about Thanksgiving dinner, Christmas decorations, spiced apple cider, pumpkin recipes, pecan pies, casseroles. 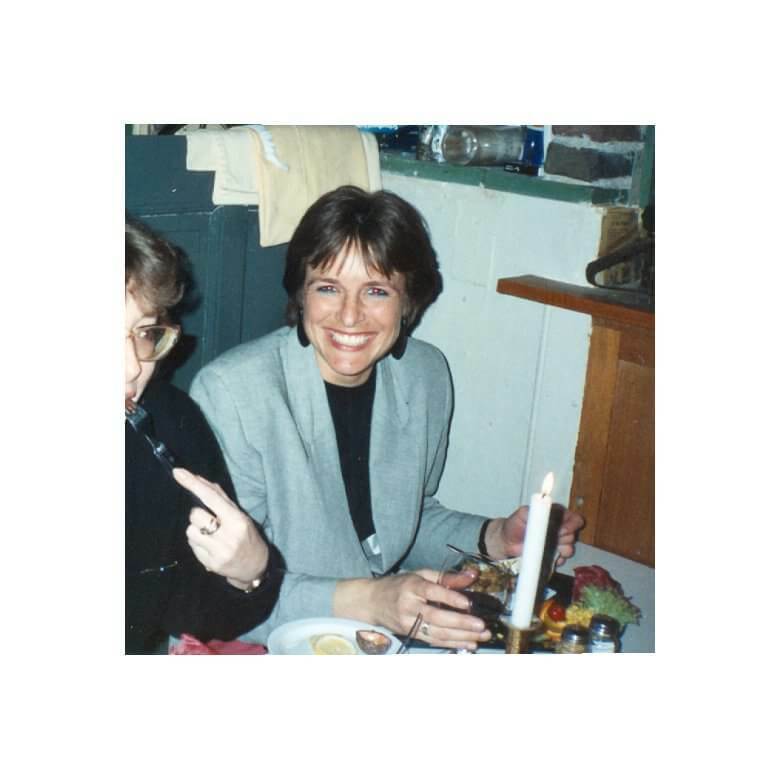 Instead, I’m cranking up the airco, thinking about another light dinner, and Halloween seems like eons away, even though it is just around the corner. Hot outside? Let’s cook outside, that keeps the cool in. Salmon with Orange Maple Mustard Glaze was delicious. Little prep time and with a baked potato you’ll have yourself a meal. I like using the cedar grilling planks and cooking your fish adds just a subtle flavor and little to no mess. Adapted from Fire & Flavor recipe. Soak the cedar grilling plank in water, according to directions. Cut spring onions in thin slices, wash them and pat dry. Cut the orange in half and cut thin slices. Prepare the glaze: mix mustard, maple syrup, orange juice, orange zest and spring onions. Season salmon with salt and pepper and apply glaze to one side of the salmon. Place plank on grill and heat from a few minutes. 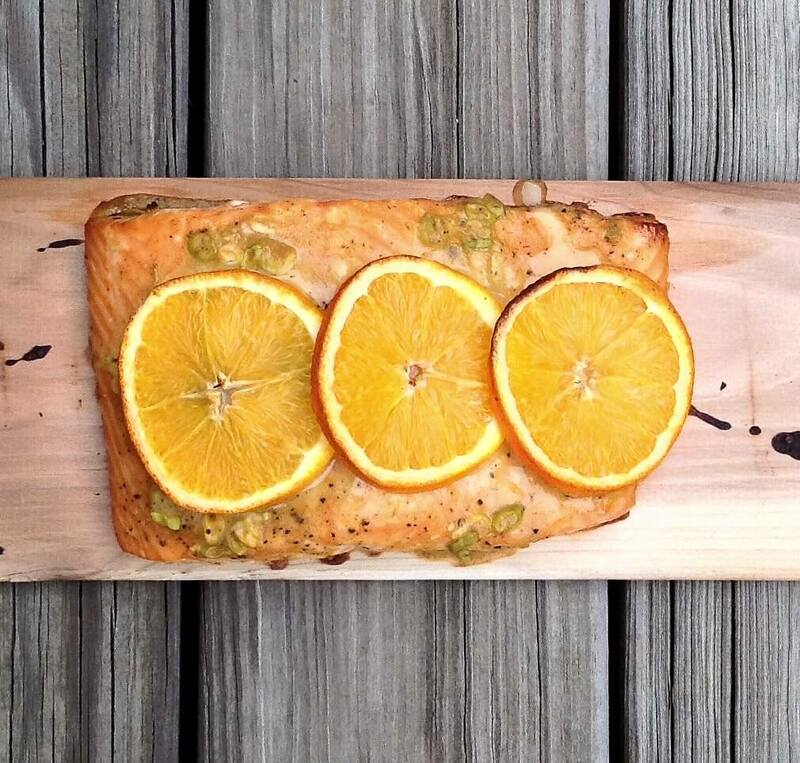 Place the salmon on the plank (skin side down, glaze side up) and place 3-4 slices of orange on top of the glaze. Close you grill and grill the salmon for approx. 20-25 minutes, all depending on the thickness of the fish. 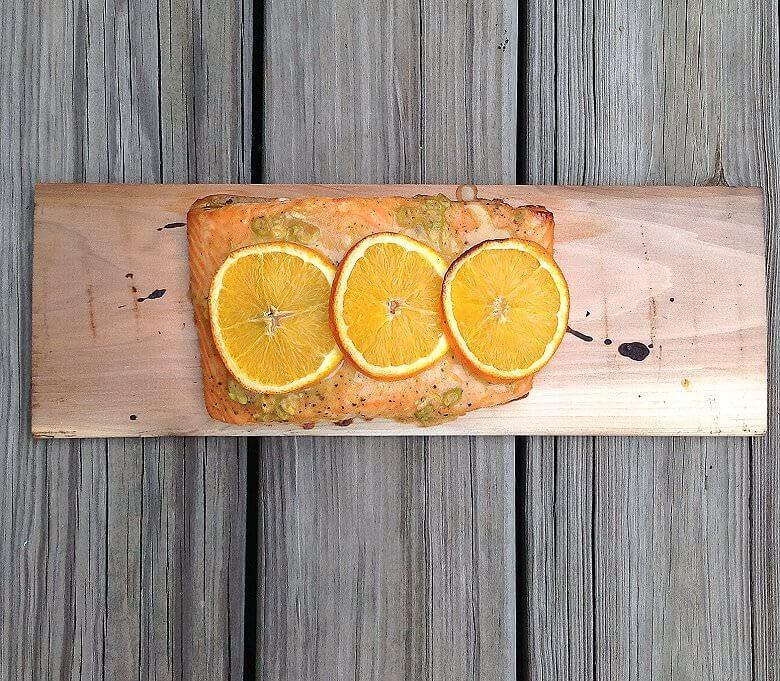 Remove plank from grill, cut salmon and serve.